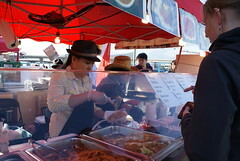 This Friday afternoon we’ll be going to the Richmond Night Market. 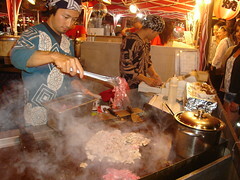 The market boasts lots of exciting food stalls serving mostly Asian food from China, Japan, Korea, Singapore etc. 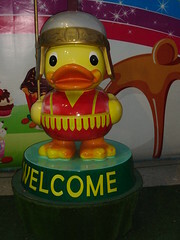 The market also has more than 100 merchandise stores, a mini golf course and much more. There’s almost no limit to what you can find at the market, and there will also be the opportunity to enter various competitions and win great prices! 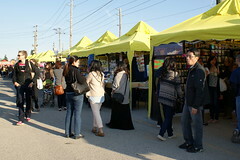 Several events are also held at the market. This friday’s entertainment will be delivered by musicians. We’ll meet up at 7:30pm in order for all of us to save money on the public transportation. The fares for transportation are lowered after 6:30pm. Admission is only 2.25$ and is donated by the market to the Canadian Cancer Society. 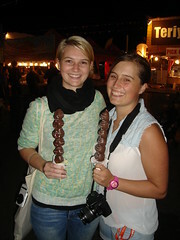 So while having fun at the market you’ll also be supporting a good cause. You can get to the market by different busses. The easiest way is to connect with Canada Line Sky Train. If you’re going from downtown Vancouver you can take Canada Line from the Sky Train station Vancouver City Centre Station and get off at Bridgeport Station. At Bridgeport Station you enter Great Canadian Way and turn left onto 8351 River Road, which is a 500 metre walk. Hope to see you there for a great evening.